I realized all semester I haven't at all played with color.. 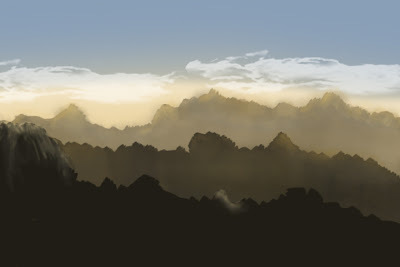 I did some painting of landscapes using simple colors.. here is just one for now. Lookin' good, for some super sweet landscapes check out Caspar David Friedrich, one of my faves. They have books on him in the library, check it out!! !